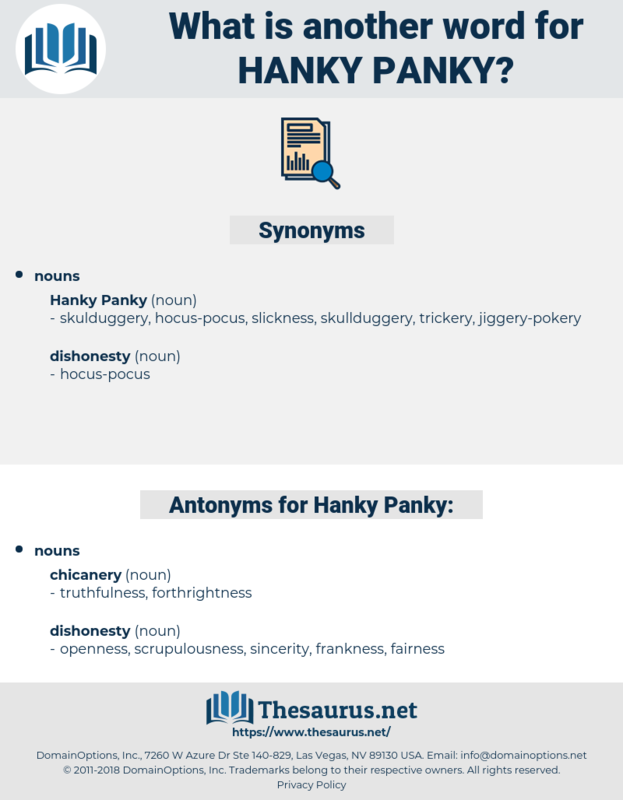 What is another word for Hanky Panky? frankness, sincerity, openness, fairness, scrupulousness. plainness, artlessness, guilelessness, plainspokenness, candor, candidness, directness, ingenuousness.